TOPEKA, Kan. (AP) — Kansas lawmakers Monday rejected a plan that would increase spending on public schools, with top Republicans squeezed between GOP conservatives who want to hold down increases in aid and Democrats who think the state needs to spend even more to satisfy a court mandate to boost education funding. The state House voted 65-55 against giving first-round approval to a bill that would phase in a $522 million increase in education funding over five years. The Kansas Supreme Court ruled in October that the more than $4 billion a year the state spends on its schools isn’t sufficient to finance a suitable education for every child, as required by the state constitution. The court ruled in a lawsuit filed by four school districts in 2010 and ordered the state to report in writing by April 30 on how lawmakers have fixed the problems identified by the court. Lawmakers are scheduled to start an annual spring break Saturday, but GOP Gov. Jeff Colyer has said he doesn’t want them taking off without passing a school funding bill. Leaders of the House’s GOP majority immediately scheduled another school funding debate for Tuesday. Senators are working on their own proposal. 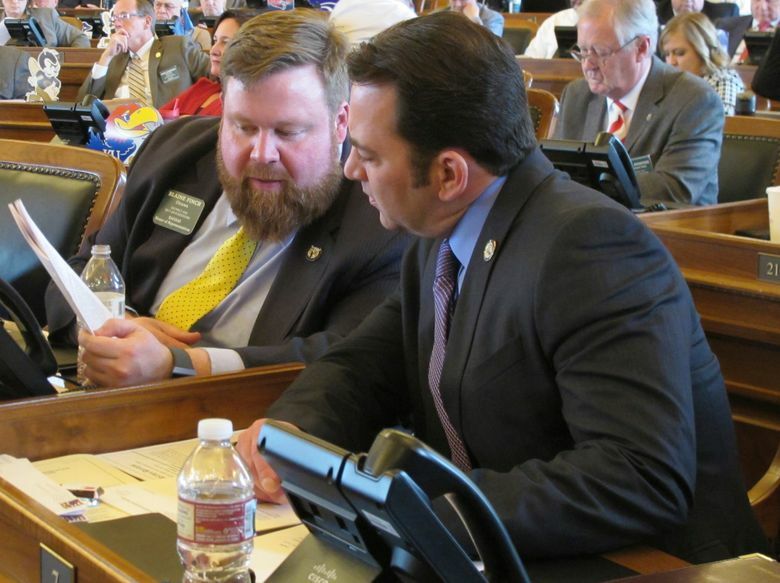 “We have a night to work with people and talk about ideas,” said House Speaker Ron Ryckman, a conservative Olathe Republican. Republicans who supported the bill believed the state could provide the annual education funding increases and scrape by with the rest of the budget with the annual growth in state tax revenues. But some GOP lawmakers are skeptical, particularly conservatives who remain upset by the court’s ruling. And many Democrats didn’t see the total increase in spending as enough to satisfy the court, arguing that inflation would force the state’s 286 school districts to use much of their new dollars to maintain current operations. Democratic Rep. Ed Trimmer, of Winfield, proposed an amendment to phase in an increase of $817 million over five years — $295 million more than under the bill. The vote was 76-46 against his proposal.